Today, I took the opportunity to ask Dad what Christmas was like for him when he was young. I spent some time in the car with my father today, and as we travelled the presenter on the radio was asking people to call in and talk about family memories and traditions at Christmas time. This was a great opportunity to ask Dad what Christmas was like for him when he was young, so that’s exactly what I did! My father grew up in Holland during the Depression and World War II. His family were not really poor, but neither were they rich. My grandfather worked very hard to provide for his family, and both he and my grandmother managed their resources carefully. The house was usually not decorated much for Christmas, but they did have a Christmas tree lit with candles. Dad also remembers the large fir trees that were put up in the churches, almost as tall as the roof. Some were lit with electric lights, but most were lit with candles. As many churches were built of wood, this was a cause of many fires. I can understand how the sight of such a big tree, lit and decorated, in a church would imprint itself on the memory of a young lad. Christmas was a time when family would visit and often put on Christmas plays for one another. It was usually the children, but sometimes grownups too, who would act out the story of the first Christmas or plays about Sinterklaas and his companion, Swarte Piet. A play like this was usually the only observance of the St Nicholas tradition in my father’s family, although for some Dutch families, Sinterklaas is almost as big a celebration as Christmas itself. By the time Dad was a teenager, it was more common for people to listen to stories or plays on the radio than to perform them at home for their relatives. Gifts were generally not exchanged by adults, but the children received a book as a gift. Dad also remembers that this was the time of year when children of a certain age – probably 11 or 12 years old – were presented with a Bible of their own by the Sunday School of their church. I can’t imagine how strange their first Christmas in Australia must have seemed to them in 1951. Even then, it would have been such a world away from how we celebrate Christmas now. Commercialism and materialism have seen to that. Having just turned 86, Dad celebrates Christmas on the other side of the world in the heat of summer, with trees illuminated by LED lights, a plethora of Christmas movies and ‘Carols by Candlelight’ concerts on TV . Family is still a focal point for all of us – my grandparents’ values have been firmly imprinted on us in that way, even if we do indulge in giving and receiving gifts that are generally luxuries. Dad, his sisters, and their families are spread across this enormous continent, so visiting happens via Skype and phone calls, while photos and news are shared on social media. I do like to think, though, that there is still a sense of wonder at a pretty Christmas tree being lit up at night, and I hope that people stop to hear and reflect on the story of Christmas that goes beyond reindeer, presents and “being good”. Christmas Eve was busy in our household. We started with a family dinner which included the festive crackers that we would normally have on Christmas Day, as different members of our family were going different ways to be with other family the following day. We had food to prepare for the big family lunch that we were planning to attend. We had presents to put under the tree. We had to get Little Miss Chatterbox into bed and asleep, so that we could organise Santa’s visit in peace. 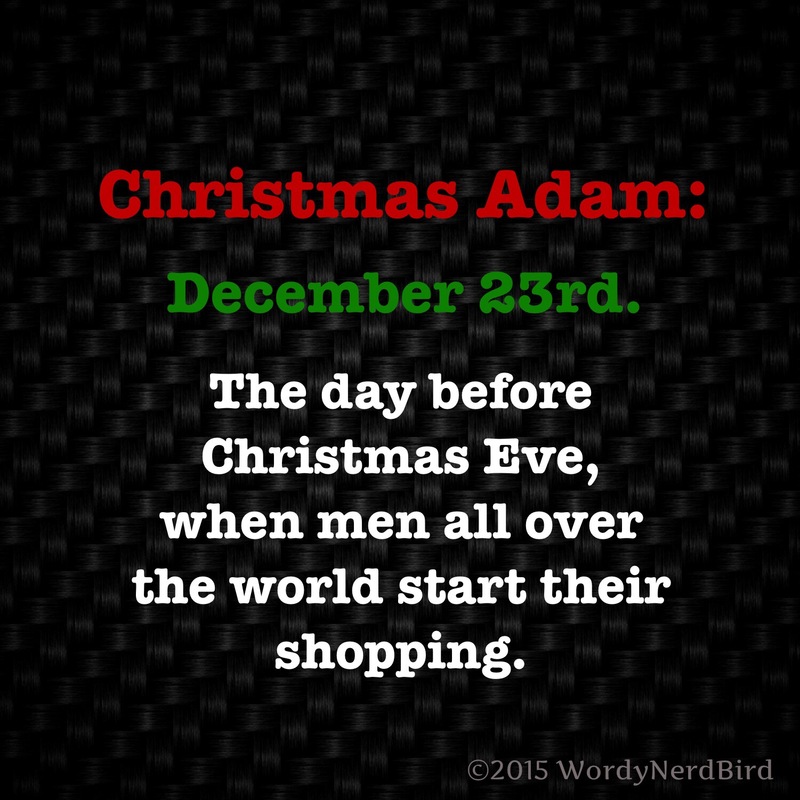 Once that happened, we could start putting out the Santa presents for the family. Before that, however, we chose to indulge in something that has long been a Christmas tradition in my family. We gathered around the TV, with only artificial candles to light the room, and watched the Carols By Candlelight being broadcast from the Sidney Myer Music Bowl in Melbourne. Carols By Candlelight has become an Australian tradition. Singers and TV celebrities perform Christmas songs for a live audience, who are welcome to sing along, dance, and enjoy the show. There’s a fantastic choir, another choir full of children, and a magnificent orchestra. It really is fabulous viewing. Of course, there’s a bit of commercial promotion for the companies that sponsor the production. Once you get past that, you can relax and really start to get into the spirit of Christmas. Last night, watching and singing along was a welcome break in an incredibly busy day and night. Among the fun, tinsel, and standard carols, there were a few standout performances. The performance by Alana Conway of “Silent Night” was my favourite. It was simple and beautiful, and absolutely took my breath away. It also reminded me, in all my hustle and bustle, of the simplicity of the message of Christmas – on a silent night, with nobody “important” taking any notice, Jesus was born to a simple peasant girl. He came as the Messiah to bring life, healing and grace to a world that was broken by sin. Please don’t be offended by that statement – I do realise that some people might be. I’m not here to push my faith onto you or to insist you believe as I do. I’m just reflecting on my experiences last night and how they affected me in terms of my attitude and my perspective. This gentle reminder really changed my perspective and feelings about what I still had to do that night. Every gift I gave was a reminder of the gift that God gave us on that silent night in Bethlehem. Every song I sang along with was a reminder of God’s love and grace. Every message to a friend was a reminder of the blessing they have been to me. 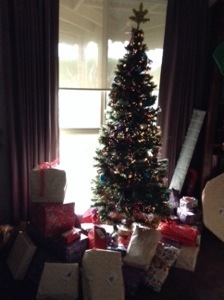 Every gift placed under the tree brought anticipation of the response of the recipient. Everything was full of joy, even though I was exhausted. It doesn’t take much to remind us of the important things in life. I’m so glad of the reminder that was delivered so breathtakingly last night. I hope the video blesses you the way it blessed me. I hope for some of the peace, joy and reflection of Christmas to be yours today and always. As children, we learn to count down to big events such as Christmas, birthdays, holidays or family events in terms of “how many sleeps” until the day in question. I am still a kid about Christmas and birthdays. I love the worship aspects of Christmas but I also love the tinsel, the lights, the tree, the decorations, the songs, Carols by Candlelight, the giving of gifts and the celebrations with family and friends. My problem right now is that I have been telling people with great excitement all day that “it’s three sleeps!”… And it’s 1.45am and I can’t sleep. Wide, wide awake. Yippee. Can we just have Christmas now?